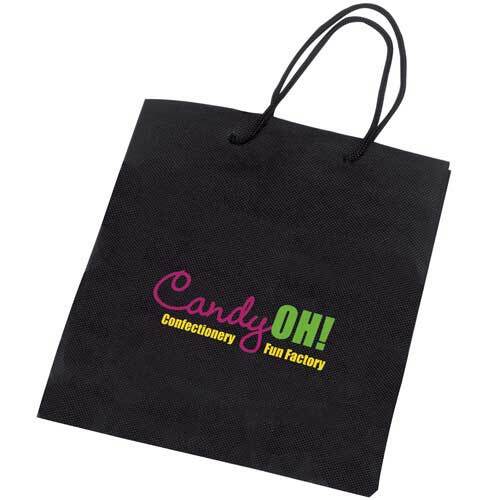 Display your logo with this great bag. 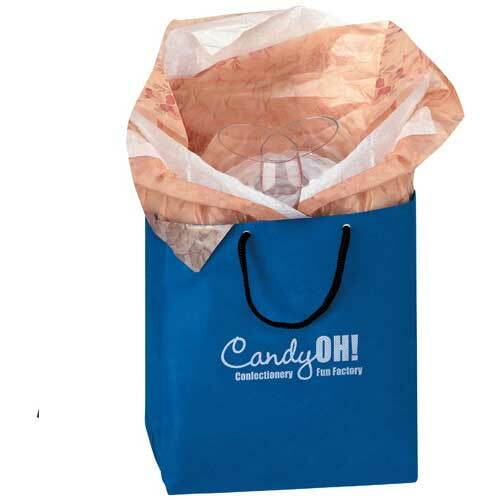 Made of nonwoven polypropylene, this bag is a durable alternative to gift wrap. 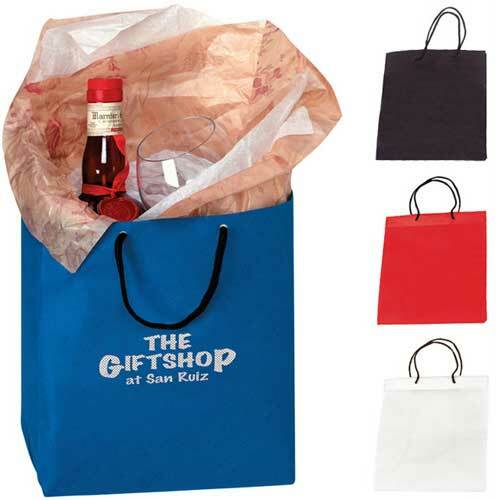 Has durable black braided handles and cardboard bottom panel. 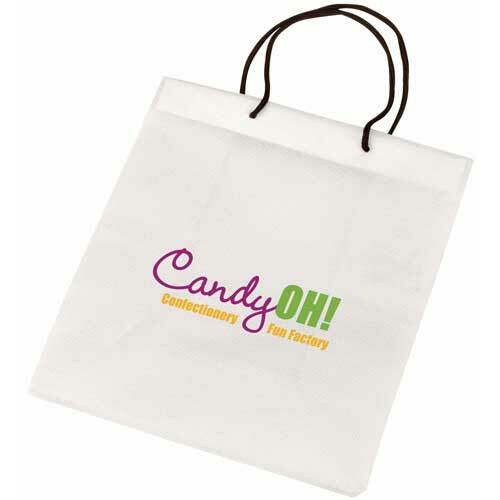 Use for corporate gifts, company events, trade shows and more! 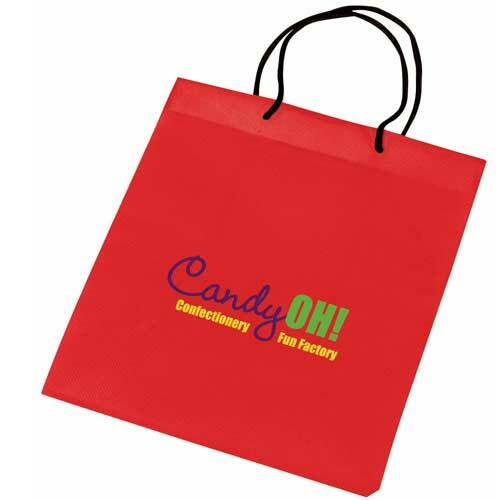 Bulk / 11 lbs / 100 pcs.